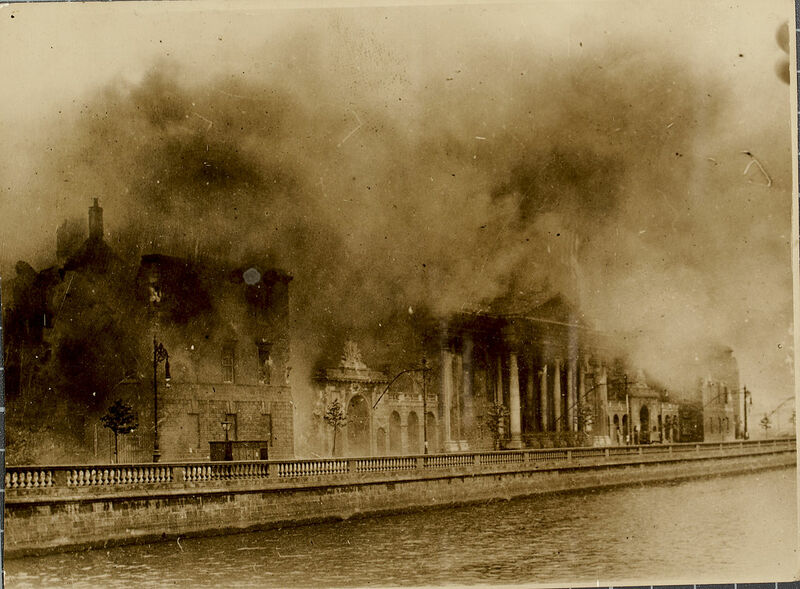 A thousand years of Irish genealogy records were blown up in a 200m cloud of smoke in the Irish Civil War. The ammunitions being stored in the Public Records Office in Dublin caught fire and there was no saving them. There is some argument over what exploded to set the fire off but the fact that the ammunitions were kept by the IRA in this area, meant that there was little hope that it would have come out unscathed. Any type of war will have casualties and this was a huge casualty in regards to genealogy. But thankfully people were only injured in this fire and not killed. Many Irish historians have done a lot of work to recreate the records or try to make what is available accessible, to overcome this disaster. You would think that would be enough of a set back but another area that lacks information in Ireland’s records is their census. The first census taken in 1813 was deemed as unsuccessful and destroyed at the time. The next four sets of census records taken 1821 to 1851 was destroyed in the PRO fire. The 1861 and 1871 census were destroyed; the only value in the census at the time was the raw data on the population, so after that was collated they were destroyed. Then during the First World War, the government ordered that the 1881 and 1891 census be pulped. Only the 1901 and 1911 census are complete and is available through the National Archives of Ireland. (Interesting note is that no census was taken in 1921 due to the Irish Civil War. The next census was taken in 1926). This means that there are many census substitutes that need to be used. This includes land records like Griffith’s Valuation. In Griffith’s valuation about 80% of the population is listed and this covers from 1847 to 1864 and lists 1.4 million people. The information available is the location, name of occupier, landlord’s name and a description of the property. These land records cover mainly tenants of the land. For information about larger estates, The Landed Estate of Court Rentals covers around 8,000 estates that went bankrupt between 1849 to 1882 due to the Great Famine. These records can be found on findmypast. The Great Potato Famine reduced Ireland’s population by a quarter from 1845 to 1851. Most of the population depended on the staple of potato’s and after three years of failed crops, their circumstances become dire. Many Irish people immigrated in great numbers to the United States. At one stage there was more Irish Americans then actual Irish in Ireland. Those that settled in America worked hard and felt like their prayers had been answered with work available and land to buy. For Irish people that settled in Australia they probably didn’t feel as glad as they were generally convicts or they came to the Victorian goldfields to try to strike it rich. The National Archives of Ireland has “Ireland – Australian transportation records (1791-1853). The best place to start your search for Irish records is at the National Archives of Ireland and the National Library of Ireland. Another great website is the Irish Genealogy website at http://www.irishgenealogy.ie/en/. This is a Irish government website and they have church and civil records available to search online. There is a magazine called “Irish Lives Remembered” that has great articles that can help you in your Irish roots. I have only touched briefly on why many think that Irish genealogy can be such an exhausting search. However, it is not impossible. It’s ironic that people all over the world are trying to prove their Irish ancestry and they have had a big hole put in due to the fight for Irish independence. Those bits of paper that blew up sky high in Dublin severed a connection. But just like any brick wall that you get, figuring out a way around the wall can be half the fun. I wish you the luck of the Irish, or was it that their hard work just made them lucky? Good luck.